Jerrilynn Patton, more commonly known as Jlin, cuts an impressive, prolific figure – a gifted and sought-after composer, musician, producer and DJ; her sophomore album Black Origami racked up rave reviews and graced many Best of 2017 lists including The Skinny’s. Jlin has had a meteoric rise to critical fame from her humble start composing in her own bedroom in Indiana, she still maintained her day job as a steelworker even up until last year despite her musical talent being in demand from the likes of the Kronos Quartet (whom she has an upcoming collaboration with! ), Björk and Max Richter – just to name a few. After immersion in her work, it’s clear why. How would Jlin describe it? “Vulnerable, naked,” she says, not wanting to overly dictate how her music is received. "I’m not going for a certain thing. I’m just creating. The listener feels how they feel because they like it, they don’t, they hate it, they love it, I’m just creating it and that’s it." She also dislikes the negative effects of our 24-hour-media-hype culture on music, "I think what happens is sometimes we overexplain. Why don’t you let your listeners, your audience form an opinion? We don’t need a preview to every damn thing. Life is not a trailer. Sometimes just rolling into something and not knowing what to expect is a really beautiful experience." Not to contradict Jlin’s wishes, but to give her work context – influenced by the footwork and juke music scenes in Chicago, she's crafted her own signature, post-house electronic sound. 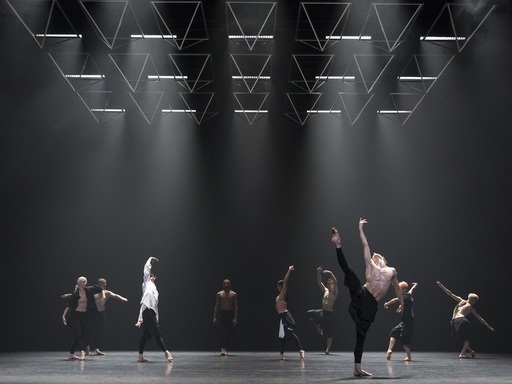 It’s inherently experimental, complex and crafted, whilst visceral and raw, and perfect for groundbreaking dance. 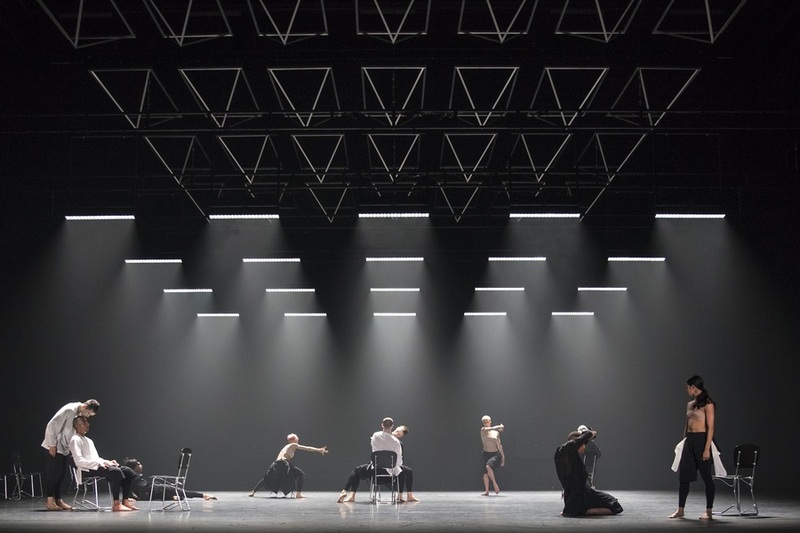 No doubt this is what first attracted world renowned Resident Choreographer of the Royal Ballet, Wayne McGregor, when he needed to commission a composition for his new piece Autobiography – something electronic yet resonant with biological themes to match his own aesthetic interests. "When Wayne first approached me I was actually very excited and scared at the same time because I didn’t know what to expect," Jlin explains. "I had never done anything like this in my life, the only person I had ever created for is myself. And I was just blown away for that reason. I’ve always wanted to go to a ballet, I just had no idea that the first ballet I was going to go to would be the ballet that I was composing for! And what does composing for a ballet even entail?" 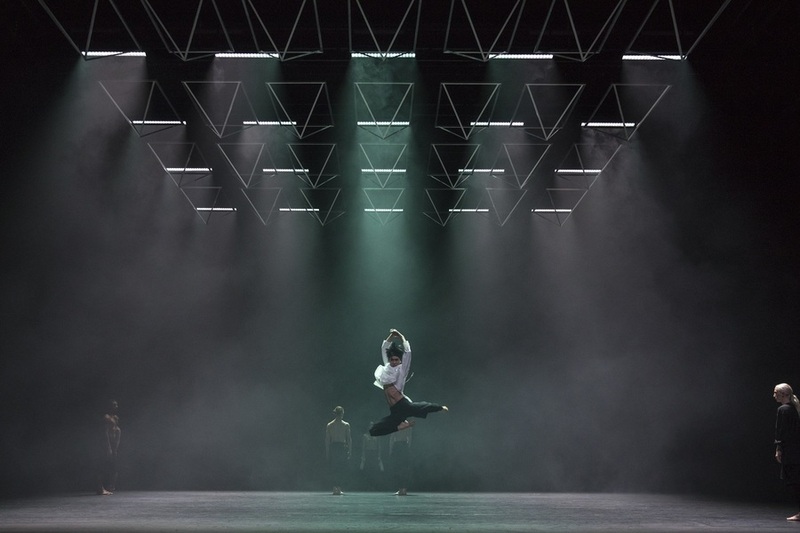 As if this prospect wasn’t daunting enough, McGregor’s Autobiography is a high concept complex piece – working with scientists at the Wellcome Trust, McGregor has sequenced his own genome, using the mass data from his own DNA to inform and affect the ballet each time it's performed, so each performance is unique for every dancer and each audience, never to be repeated. McGregor was keen for Jlin to research this subject in depth, "I had to do a lot of research before I started creating, on top of the time that I didn’t really have to create," she laughs. "I researched for about two months. Wayne gave me a book to read, The Gene: An Intimate History by Siddhartha Mukherjee. It was really helpful and interesting, and then on top of the material he was giving me we became joined at the hip as I was creating. I used to wake up at two in the morning, working until six in the evening – and those were the best hours for creating. It was cool. I was enjoying it because I was on Chicago time and he was in London, so if I ever did need to hit him up for anything he was available. It worked out really well. And trusting me with something that was so intimate because it was based on his genetic code, I was honoured." Trust and a deep mutual respect of each other’s artistry is really at the core of Jlin and McGregor’s collaboration. Jlin found in McGregor a kindred spirit, "Wayne, very much like me, breaks all the rules. He does not follow the rules of being contemporary in any way. It’s his way and he has his signature and you know it when you see it and I love and respect that about him." In return, McGregor accepted Jlin’s perfectionism, giving her complete control over her creative process. "I can’t operate any other way. Anytime I go in with a person who asks me to do something, I say it like a disclaimer – I can’t be micromanaged. If you came to me, there’s obviously a reason you came to me. Wayne is one of those people who realise that when you micromanage you restrict the piece, he has the wisdom to know that. There was a track in there I had originally, and he loved it but I didn’t like it, he said if I didn’t like it, I could take it out." Initially, Jiln wasn’t sure how to start composing, "I kept procrastinating. And Wayne texted me one day, 'I can’t wait, I’d love to hear a piece soon,' and I went into nervous mode. I hadn’t even started... It was [the] end of June and the ballet is in October!" Jlin laughs. "And that day, I started Annotation and sent it to him. He was blown away and said, 'Keep going, keep going! Do your thing!' I finally went to his studio in July and I had finished Kundalini. We listened to it and his mouth was wide open, and he asked, 'You made this?' He called his staff in, 'You gotta hear this!' They listened to it and were like, 'Woah!' 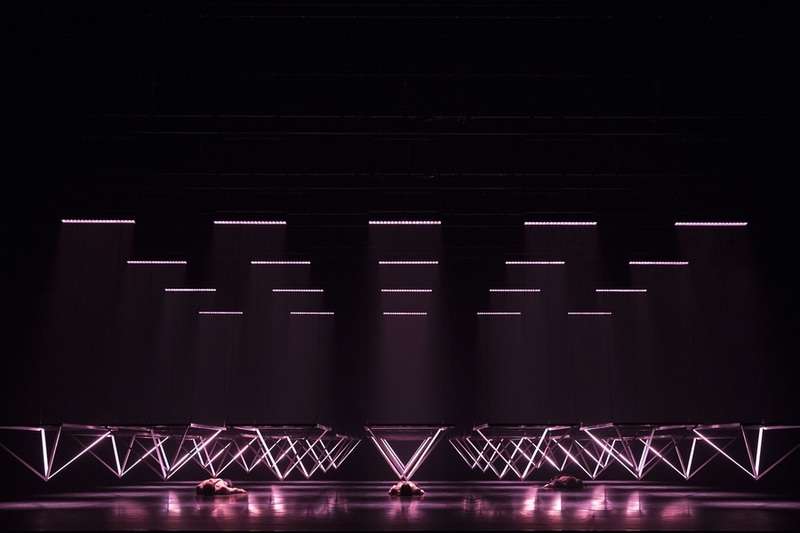 The stage designer, Ben Cullen was in the room as well and when he heard it he said, 'I have all these ideas now!' It was like a domino effect, we had all this energy." As time passed, this creative momentum intensified. "We became [like] a family. We did everything together, we were in 12-hour rehearsals all day, every day but it didn’t feel like 12 hours. It was a magical, organic situation. It never felt like work because everybody was doing what they love." McGregor also insisted that Jlin take time to enjoy the fruits of all that hard work. "Wayne wanted me to go watch Autobiography without me [performing], seeing it with my music playing, so they played the audio file and I cried like a baby because that was probably one of the most fulfilling moments. [I’d] never seen my music come to life like this." Jlin’s gamble to work so hard throughout 2017 particularly – "it wasn’t crazy, it was insane!" – has paid off serious dividends but it came at a personal cost, however enjoyable the labour. "I suffer anxiety and that’s what made me come to terms with the fact that you can’t do everything. The smallest things would stress me out. I was making Black Origami and [writing for] the ballet at the same time. That was almost impossible. Honestly, I would never wish that on anybody. It’s not anything to brag about because believe me, it’s brutal. You’ve got to look after yourself." Jlin now practices self-care and mindful gratitude, "I just cut off seven inches of my hair and I said to myself, 'I’m going to start meditating for seven minutes a day, and just taking seven minutes to myself.' I feel very free. You know how they say, 'a woman who cuts her hair is about to change her life?' I feel that! I’m [also] always grateful. I think the key to life is gratitude. I’m very grateful for the opportunities [I’ve had] and will receive in the future. You can’t just say you’re grateful, you show you’re grateful by the time, the dedication and the focus you put into your work and God knows I put the time in! But it’s [balanced], I give myself time to grow. Your ears, spirit and mind need to rest." And what does Jlin do when she really needs to power down? What is the key to her unfettered success? "You really want know? You’re going to get the exclusive! I’ve been watching Scooby Doo episodes from 1970-1973. I love Scooby Doo, and somebody is gonna be like you are the biggest nerd ever! And that’s ok."